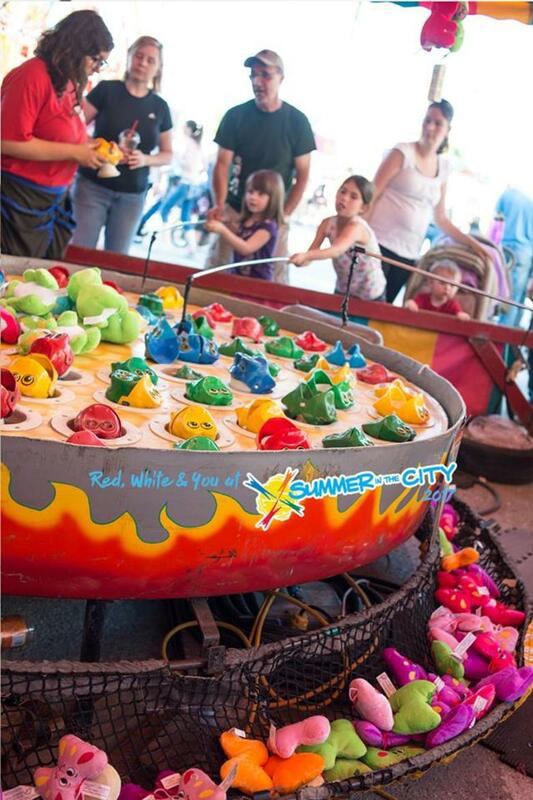 EX-perience the sights, sounds, and tastes of Manitoba’s largest (and funnest) summer fair! Featuring nightly concerts, family attractions, animals, agriculture and the worlds largest travelling midway. Here, you will scream your heart out while flying down a roller coaster at lightning speeds, discover unusual creatures from around the world, and witness amazing feats unlike any other. A world-class lineup of artists is set to perform at the Winnipeg International Jazz Festival! From June 15 to 25, the Exchange District will come alive with music performed by the best local, national and international artists. 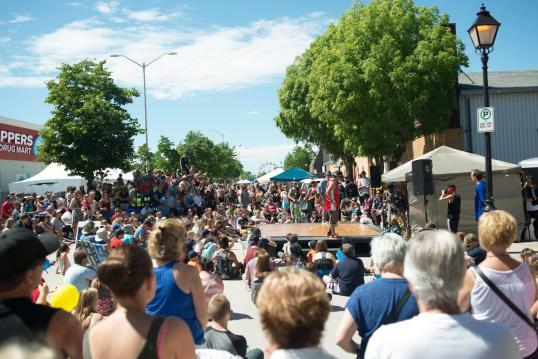 Experience the serenity of downtown Brandon’s Princess Park and enjoy amazing talent from some of Western Manitoba’s finest performing artists. 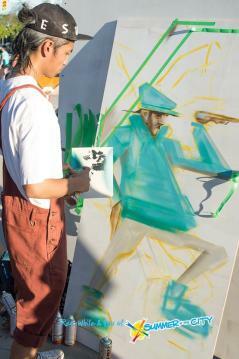 The free performances happen every Tuesday until August 22, starting at 7:00 pm. This week, Mitchell Mozden will be entertaining with soft acoustic melodies and intense live loops. Main Street will be abuzz this weekend for Steinbach’s annual Summer in the City. Taste and see the world at the cultural zone, or head to the midway to scream your heart out on an exhilarating ride. End the night with amazing entertainment on the SCU Main Stage. This year’s lineup includes Jess Moskaluke, Tom Cochrane with Red Rider and Dan Bremnes. Manitoba Liquor & Lotteries 55 Plus Games are the largest annual 55+ multi-sport event in Manitoba that encourages seniors to stay active into their 80s (and 90s, and 100s). Events include arts and crafts, card games to bowling, golf, snooker, floor curling/shuffleboard, track, swimming, slo-pitch, scrabble and pickleball! Get your adrenaline pumping all while taking in a killer view with a ziplining adventure. Take the plunge in the Pembina Valley with Hy-Wire Zipline Adventures and see the valley from 200 feet above with their signature 5- or 8-line tour. The tour includes 1 km of hiking with the average outing lasting just over an hour. Take a journey back in time to the Fur Trade in the early 1800s. Eccentric costumed interpreters will guide you through the historic Fort Gibraltar that originally sat at the forks of the Red and Assiniboine River. Guided tours are approximately 2 hours long and cover everything from the role of the fort as a North West Company trading post to the development of the Red River Settlement and the notorious conflict between competing fur trading empires. 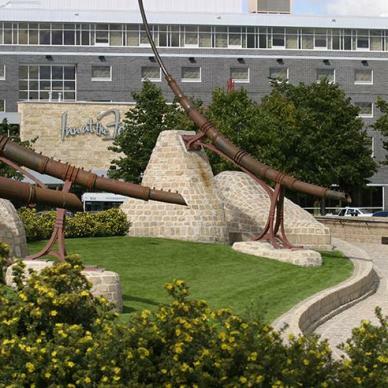 Altona’s Gallery in the Park is the perfect way for garden-lovers to spend the afternoon. The 1902 home houses artwork while the surrounding grounds hosts a variety of sculptures and gorgeous landscaping. Wander through the garden to the water fountain, or relax on the outdoor patio in this little piece of paradise. Are you ready for some football?! The summer months will once again be all about Winnipeg Blue Bombers football as the team continues week 2 of its CFL pre-season at Investors Group Field! The boys in Blue will be taking on those feisty Edmonton Eskimos. C’MON BLUE!!! P.S. : we’re giving away Blue Bomber tickets on our Instagram all summer, so be sure to follow along! Travel back to a time when Canada’s rivers served as highways for travelers and how the Vickers Vidette changed the northern transport industry in 1924. Known as the “Flying Canoe”, the Vickers Vidette was the first airplane designed and manufactured by Canadians. Don’t miss your chance to see the world’s only complete example of the Flying Canoe on display at the Royal Aviation Museum of Western Canada. An added bonus? All Dads get free admission to the museum (when accompanied by their kids) on Father’s Day! Wouldn’t it be relaxing just to get away for the weekend, sleep in, AND have breakfast made for you? 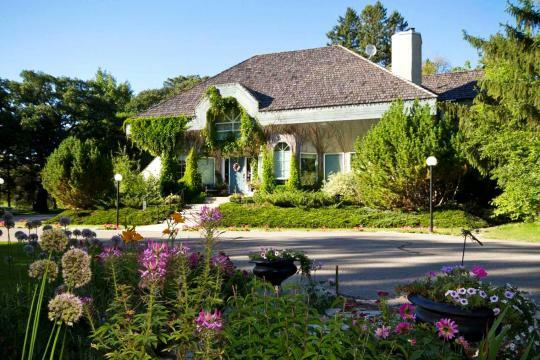 Last week, we covered three outstanding B&Bs in Manitoba, and the next choice lies entirely with you. Do you want to feel like a princess? Check in to Bella’s Castle in Morden. 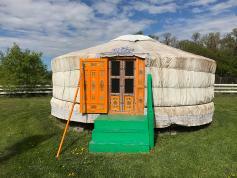 Want to sleep in a Mongolian yurt by night while getting creative by day? Journey Home Artist Retreat is calling. Need something with a bit more history and heritage? 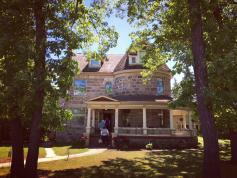 Evergreen Gate Bed & Breakfast in St. Andrews is your new home for the weekend. Explore this stunning lake by boat with a rental from Clear Lake Marina. Take your pick of a kayak (single or double), paddle boat (always fun for the little ones), or stand up paddle board (ideal for a better vantage point). Fur dads can celebrate Father’s Day weekend too! Bring your dog to the game for Bark in the Park and help to break a Guinness World Records title for most dogs to attend a sporting event! Headed out to beach country this weekend? Stop into Bulrushes Gallery, located just outside of the community of Winnipeg Beach. On now: a celebration of contemporary printmaking, to commemorate Canda’s 150 years. The gallery is open Saturday and Sunday afternoons for the month of June and Friday through Sunday afternoons, July and August. 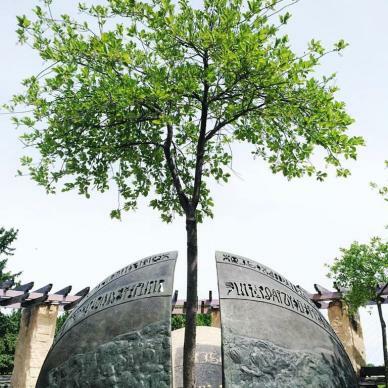 On daily until Labour Day, Park Canada’s 6,000 years in 60 minutes tour ($3.90 adults, $3.40 seniors, $1.90 youth) will take you through The Forks to recap the history of the area. The tour embarks at 11 am and 1 pm in English and 3 pm in French. Expect to pass by important historical landmarks such as the Odena Circle and hear stories of our fur trading past. Enjoy a fun-filled day with Dad at Oak Hammock Marsh’s annual Waterbug Derby. See who can catch the most aquatic invertebrates from the marsh and win prizes. There are lunch specials for fathers in the cafe, and horse-drawn wagon rides will be operating for most of the day. What’s better than an annual music festival? A music festival with a cause! The Little Valley Jamboree in Erickson, MB is held to raise awareness, support and funds for special needs children throughout Manitoba. Check out this year’s line up. For over 100 years, the McCreary Agricultural Fair & Races has been a community tradition. The western-themed event is ideal for family with horse-related activities throughout the entire weekend. Celebrate Canada through the Eye of Transcona at the Transcona Short Film Festival. The festival will focus on community spirit and Canada’s rich heritage. Each film will be a maximum of two minutes and will showcase Transcona stories. A day spent paddling is a day well spent. The 3rd annual Morden Paddlefest will take participants onto Lake Minnewasta for a variety of paddling sports including dragonboat, SUP and kayaking. Since 1955, the Ninette Fair has connected the 5 surrounding communities of Ninette, Baldur, Belmont, Dunrea and Hilton. It’s the biggest small-town festival in the Westman region! Join into the fun for light horse competitions, pet shows and more.